The Femslash Advent Calendar! Hurrah! Sister to the Slash Advent Calendar. What the heck is this, you ask? Glad you did! See, the moon cycle has long, LONG been associated with women power, and the ironic fall of the full moons in November and December inspired us. So, on that note, we would like to collect our fave fellow authors of girls with girls to fill those 31 days. From November 26th to December 26th, we would like to have a holiday story for the masses on each day. 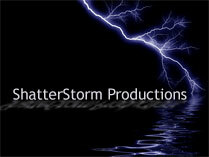 Now, both Shatterpath (Jenn) and Stormwriter (AJ), have several ideas and are already hard at work. We would be delighted to make this a group gift to one another and all those that like to read. One story or a dozen, an epic or a PWP, all efforts are welcome. We will also be offering a mailing list for ideas to be shared. We find inspiration sometimes that might not work for us, but might for someone else. This has got to be true for others as well. It can also be used as a forum for bouncing ideas around as well as beta work. Inspiration can come in many forms, as we all know. Those of you who get this letter, know that you were hand picked by two women who admire your work and would like to do all we can to inspire you. Sometimes, a group can help, and we would like to provide that by building a community to do just that. Whether we’re here for only a few months or a long time, this is a good start. As for the holiday theme, break the rules a little! Write a pagan ceremony in the woods or a Hanukkah festival in the big city. A tropical vacation to escape the winter snow, a romantic trip to the snowy mountains, or a rendezvous to another planet (if applicable). Together, we can build a collection of femslash stories that will be remembered! A little bit of background on why we chose the FSAC04. AJ has a friend who runs the Slash Advent Calendar. When she signed up to participate this year, she commented to Jenn about the lack of femslash. That really was all it took for inspiration to strike like lightning to our brains. We owe a debt of gratitude to Lady Kardasi for the initial inspiration.